Commercial property owners face tremendous challenges in their desire to “Go Green”. They want to help the environment but not at the expense of the bottom line. Solar is expensive and the available rooftop space may not provide enough room to make a significant change in their electrical utility bill, not to mention a major consideration is the damage that solar panels can cause the roof and the access to make repairs. 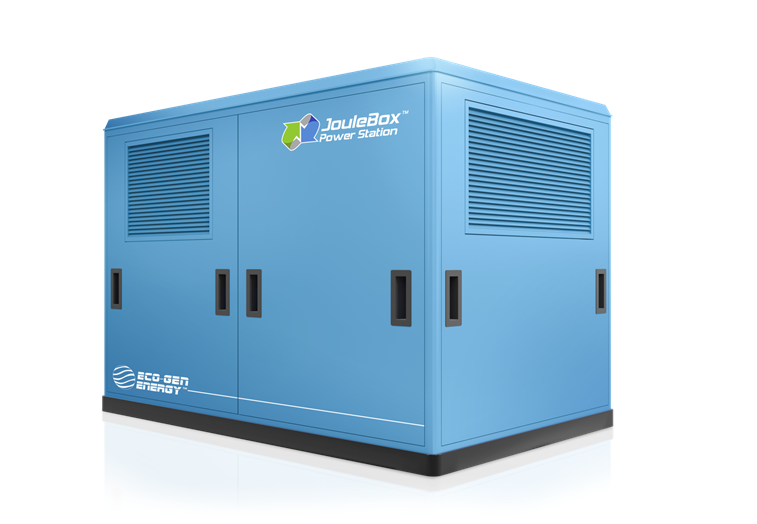 Now there is a solution…the ECO-GEN JouleBox® Power Station. Each unit is 60kW which will produce 525,600 kWh annually. Multiple units can be configured to meet any size commercial application. The ECO-GEN JouleBox® Power Station and just a few solar panels provides you with all of the energy you need. You have your own generators on site that continually produce energy using a new patented and patent pending design that re-defines the way renewable energy is generated. This new high-tech design provides a combination of conventional solar panels with an integrated generator to provide you with power 24 hours a day, rain or shine. 2. If usage is not 24 hrs. per day, then we can add Lithium Ion Battery Bricks to charge during off hours (night) to meet Peak Demand. With a limited number of solar panels needed and the flexibility to install multiple ECO-GEN JouleBox® Power Stations, now “Going Green” makes sense for any commercial application. By decreasing expenses, commercial property owners increase the value of their property with higher CAP rates and can turn a monthly cost into a revenue stream. Now you can be good to the environment and your bottom line at the same time!